There is no denying the fact that videos have taken the digital world by storm! And as a digital entrepreneur, your job is to ensure your social media subscribers receive a decent number of engaging content on a regular basis. And surveys suggest that the most engaging content is video. Creating new video content is not usually as simple as text content. Videos typically take more time and resources. But, I have a solution for you. A trick of sorts. 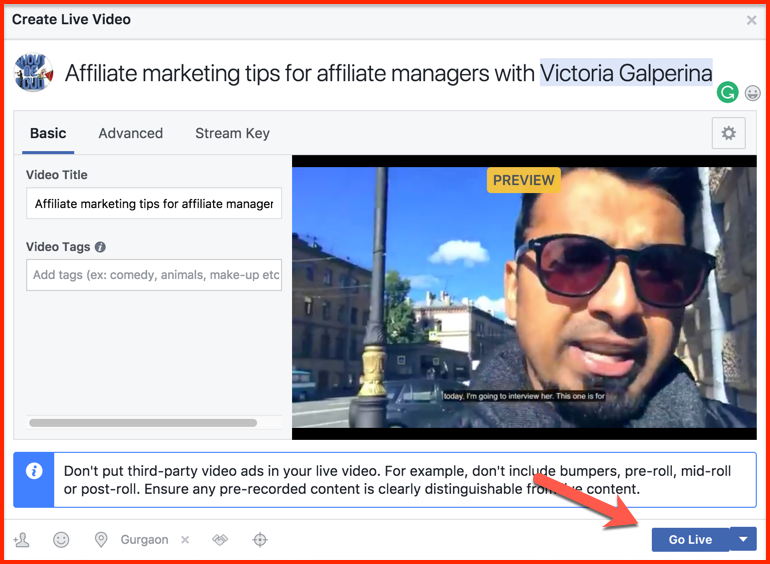 Well, in this article, you will learn how you can LIVE stream your existing videos to a Facebook page. 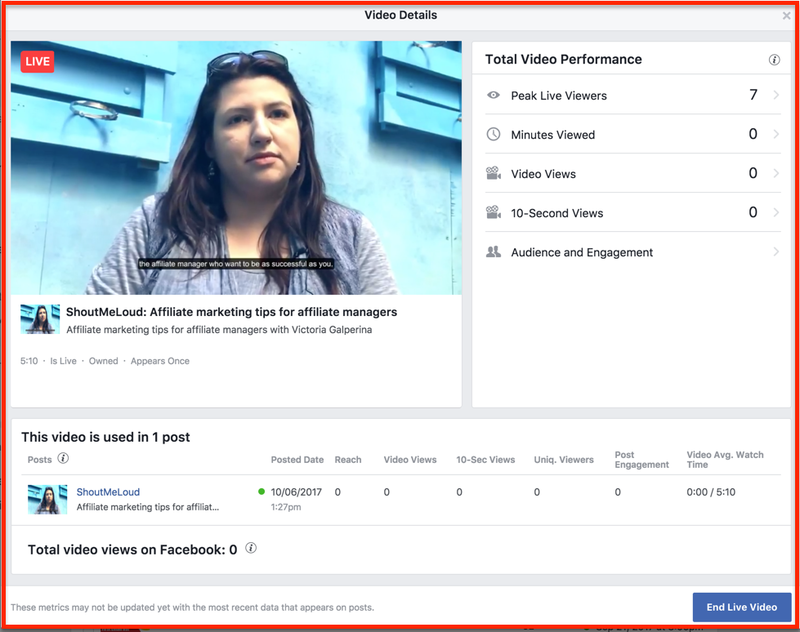 Because live videos get more visibility than regular videos, you will make your existing content reach more people. 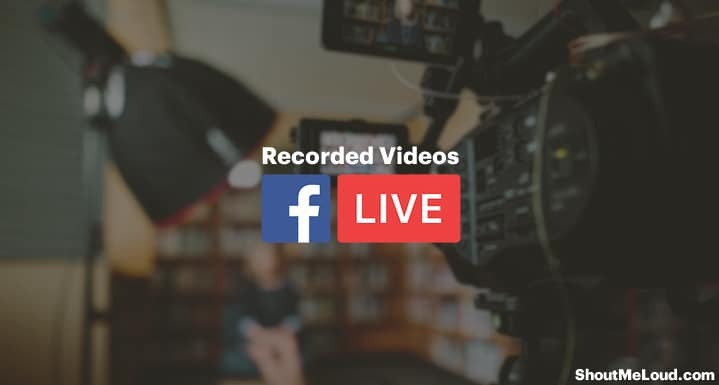 Just follow the steps below to live stream any of your existing videos from your desktop to your Facebook page. The first thing you need is the “Stream Key” from your Facebook page. This is a unique key that every page has. It enables us to use the streaming software we need. 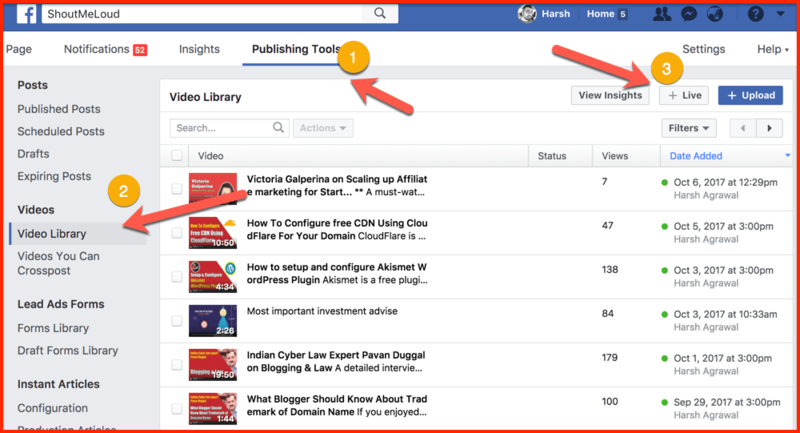 Go to your Facebook page and click on Publishing Tools > Video Library > +Live. You will see a pop-up. Copy the “Stream Key”. 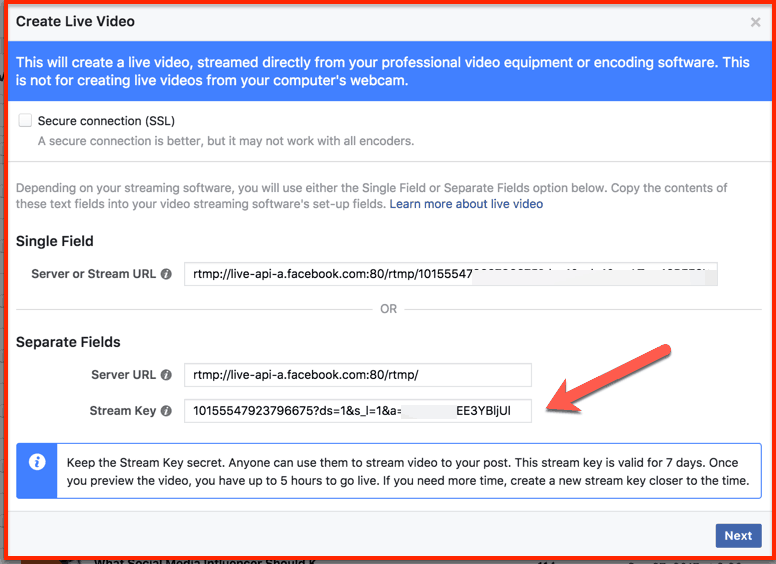 As per Facebook: Keep the Stream Key a secret. Anyone can use them to stream videos to your post. This stream key is valid for seven days. Once you preview the video, you have up to 5 hours to go live. If you need more time, create a new stream key. Click on Next. 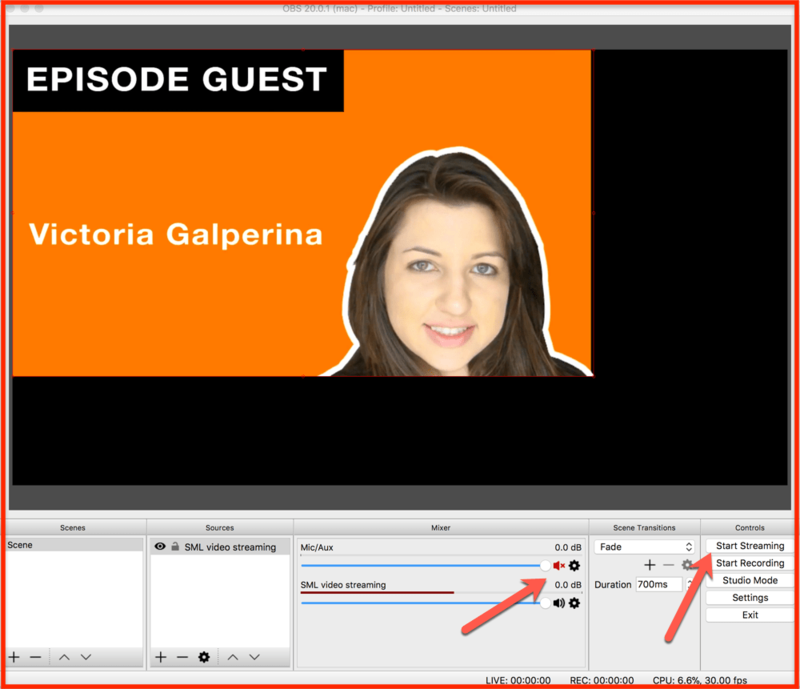 You will see the “Create Live Video” screen as shown below. Do not close this window. After we configure the streaming software, we will use the screen above to go LIVE. Download and install Open Broadcaster Software (OBS) for your computer’s OS (download link). 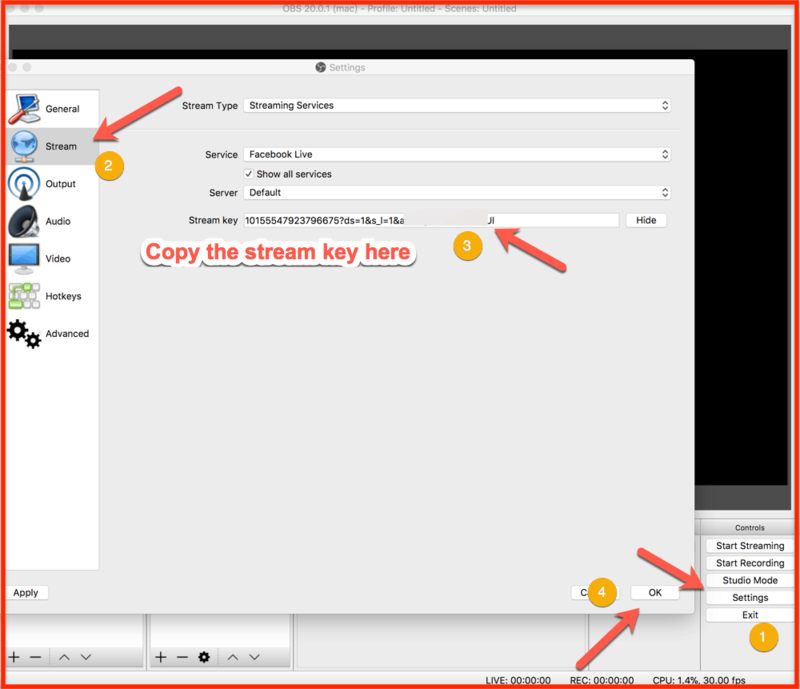 Click on Settings > Stream and then paste the stream key in the Stream key field. 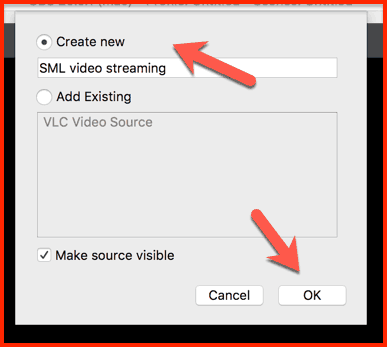 Now, click on the + icon in the Sources field and select VLC Video Source. Now, we need to create a playlist. This playlist could consist of one video or more. It depends entirely on your goal. For this tutorial, I’m streaming only one video. Give a name to the playlist and click OK.
On the next screen, you should configure how you want the stream to happen. 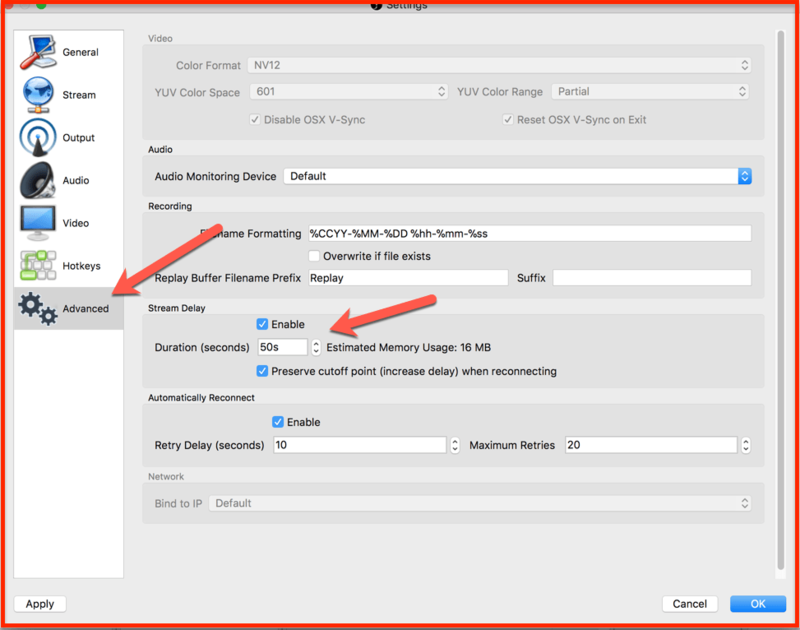 For example, live streaming should work only when the software is running in the foreground, or you can set it to stream even when the software is minimized. In my case, I’m letting it stream even after the video is minimized by using the option “Always play even when not visible”. You can add as many videos as you like by clicking the “+” icon. Click on OK to add this video to your streaming list. Now, go back to the Facebook window and click on GO LIVE. You should test this first as a trial video to get the hang of how OBS and this whole “pre-recorded live streaming” thing works. You need to end the live stream manually. If not, the stream will continue in a loop. 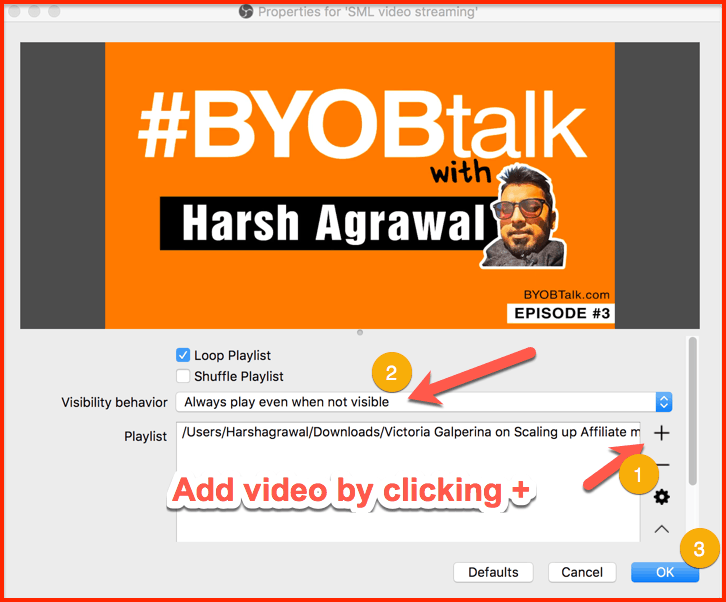 Streaming video from the 0.00-second mark on Facebook: You can overcome this by configuring the streaming delay in OBS Settings > Advanced. OBS is indeed one of the best free solutions for live streaming pre-recorded videos. There are also many other solutions that offer advanced features which could be better for any digital marketing companies acting on behalf of a client. For a blogger or startup who is looking for a free solution, OBS is the best bet. 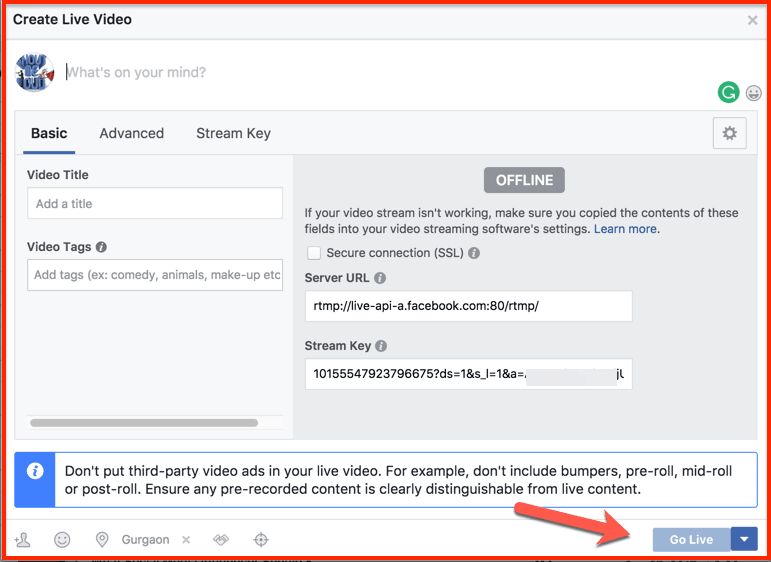 Go ahead and stream some of your existing videos on your Facebook page. It may take 2-3 times before you get the whole process right, but if you follow these instructions, you should have no problem. After you try, come back and let me know how it goes. I look forward to hearing about your experience!